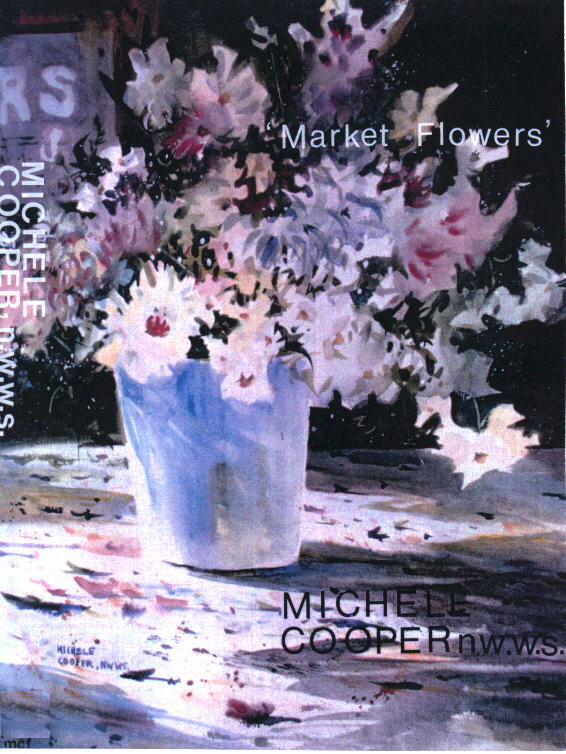 Subjects include the natural landscape-rocks, trees, fields, still life, easy figures, flowers, coastal scenes, water, buildings-both full views and close-up studies, with helpful mini-demos on techniques and design. See specific descriptions below. Color Mixing, Basic Washes, Materials, & More! Subject: Composition, Easy Perspective, A Plethora of Fun Techniques! Videos feature an overview of materials used, photo and/or live video footage of the subject and additional resource material for your own compositions. Usually, a value study is encouraged for developing design. Subject: Learn to plan your foreground and background with an action line, view critiques of other paintings to illustrate use of several principles of design, full length demonstration of the painting shown right, including 2 razor blade techniques, various applications of the "thirsty brush" technique, and lush color mixing. Bonus photos at the end to tempt you to try it for yourself! Subject: Comprehensive information on Skies, Clouds, Weather, Atmosphere in Painting Skies. Paint along with Michele as she progressively demonstrates 4 paintings from beginning to advanced watercolor techniques. 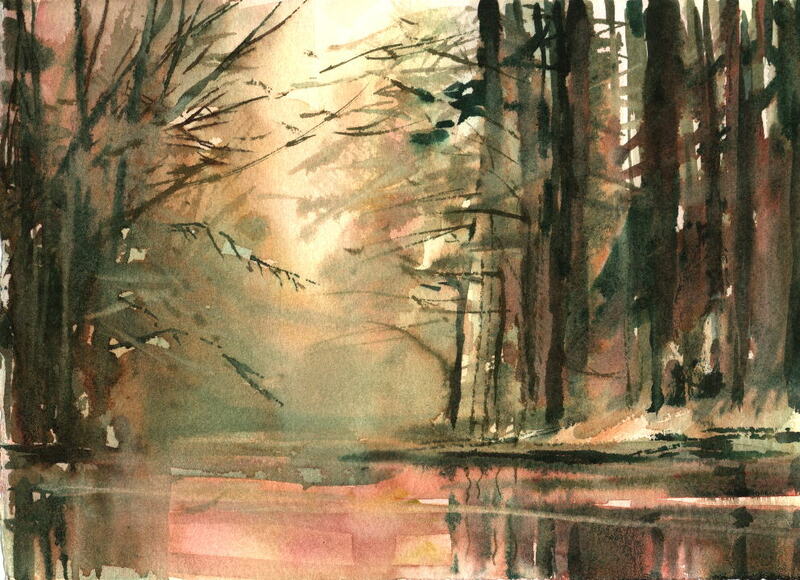 One of four painting demos from "Watercolor Skies"
DO YOU PREFER PERSONAL INSTRUCTION? Lavender Hills, literally! And old fruit trees, flowers, picnic spots, barns, and expansive rural landscapes. Paint on location for a day with Michele and launch your summer painting journey! 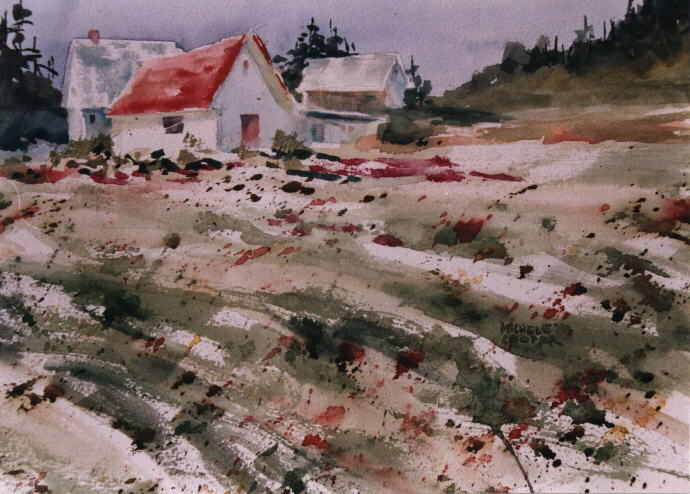 This plein air watercolor workshop is designed to give instruction in such concepts as balancing values, composition, light and shadow, and the use of local color on site. Instructor demonstration, private and group critiques. for more info on workshops! 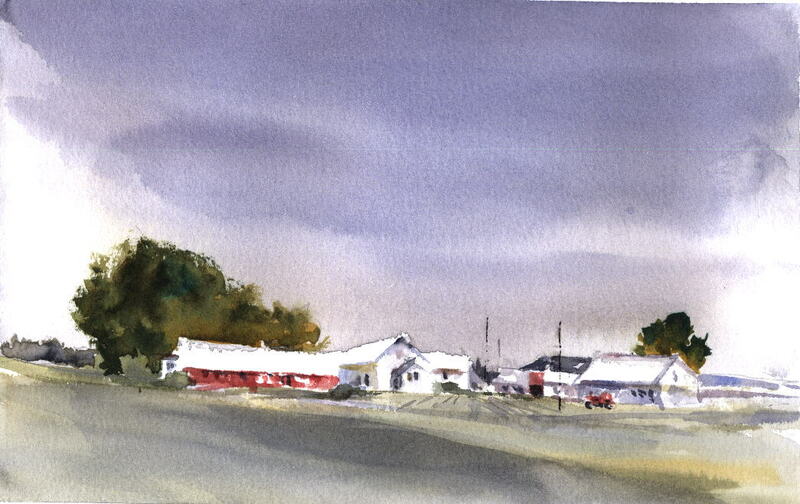 The 2 day format provides adequate time for personal painting, group critiques and one-on-one instruction. Beginners will be able to work at their own pace while intermediate painters will meet the challenge to reach their next goal. 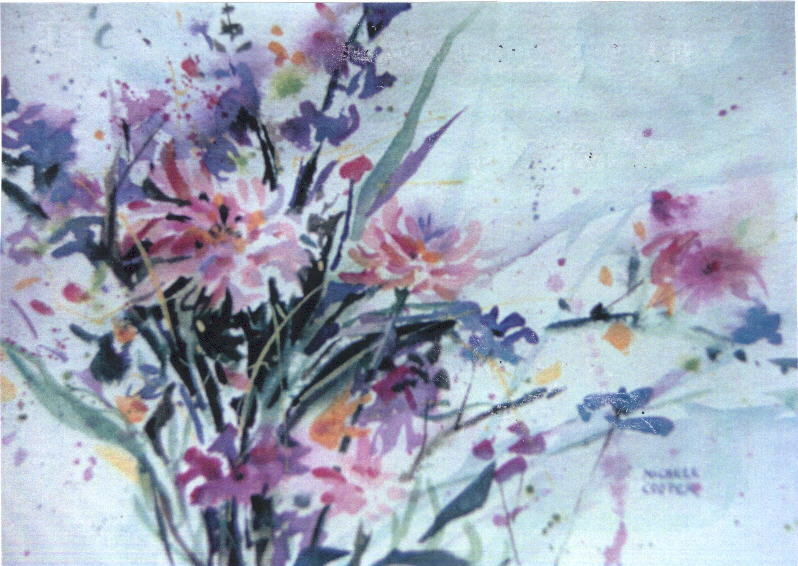 Through demonstrations, you will learn how to plan a painting, apply color, and make adjustments to work in progress. You will also gain a fresh understanding of composition, value and structure.